Nothing can ever prepare you for the sudden loss of a loved one. But when your loved one’s death is caused by someone else’s negligence the loss is so much more difficult. We understand that no amount of money can ever make up for the loss of a loved one. But, compensation can help with the financial consequences of your loved ones death and provide future security for those left behind. You need a wrongful death lawyer in Scranton you can trust. Wrongful death lawsuits are filed by the family of the deceased, whether it is a spouse, child or parent. But each wrongful death case is different, so it helps to have the resources, experience and expertise of the team at Shane Scanlon Law. Do I need an attorney for my wrongful death case? When your loved one’s death is caused by someone else’s negligence you and your family deserve substantial compensation. It will not be easy to recover the compensation you deserve without an experienced and knowledgeable wrongful death legal team on your side. If you have lost a loved one because of someone else’s negligent conduct, we can help. 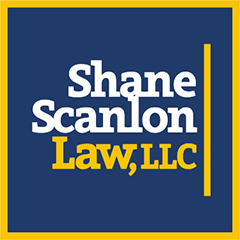 Please contact a Scranton wrongful death attorney at Shane Scanlon Law today at (570) 955-4505.